I've heard it said time and time again. You can't buy organic or even "healthy" foods using coupons. In many instances this is true, however this is changing somewhat. There are usually several organic coupons at the beginning of the year so if you're able to print off several and take advantage of sales and double/triple coupons you can save a decent amount. I was able to get print several Cascadian Farms, Immaculate and Silk coupons in January and February, then took advantage of sales and triple coupon week at Schnucks to get these things for very little. Another thing I do is like companies' Facebook pages or contact a particular company directly. A lot of the times there are offers on their Facebook page or they will send you coupons. What I like to call my couponing secret weapon is Target's Cartwheel app. 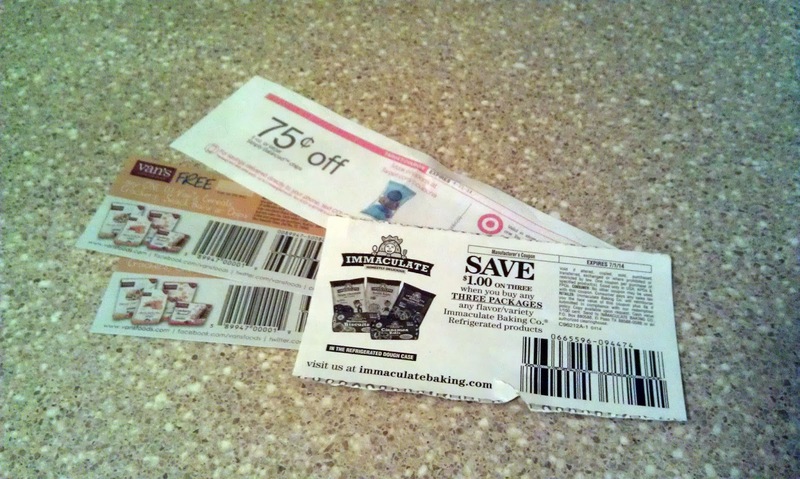 If you don't use it, you really should because you're able to save anywhere from 5-40%, plus you can use Target AND manufacturer's coupons in addition to the app, meaning you get to triple stack your coupons! I use Cartwheel to purchase Target's Simply Balanced brand of organic, no high fructose corn syrup, no artificial food dyes, no preservatives foods, and clean fifteen produce as well as everyday household items. Speaking of Target, I also make sure to check out their clearance food shelves because you can sometimes score great deals...like the $2.96 (originally $11.59!) 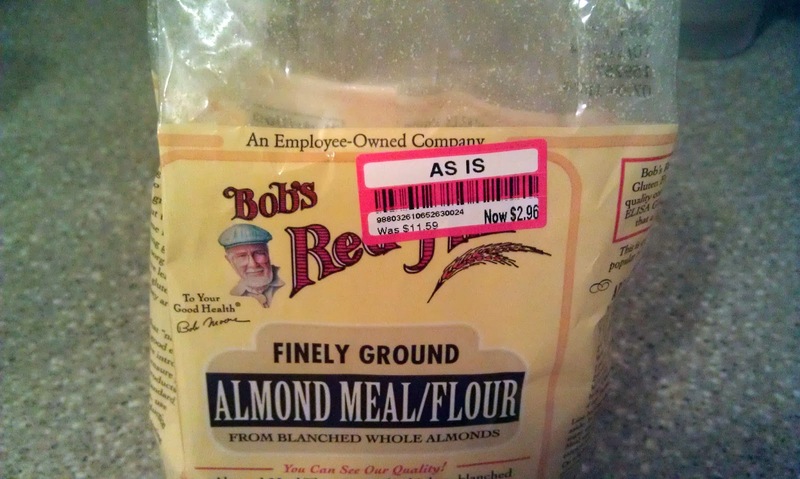 Bob's Red Mill Almond Flour I found on my last grocery trip. And finally, I coupon mainly toiletries now, creating extra money to buy organic. I can get a lot of stuff for free or almost free, which means that the money we have in our budget for toiletries can now go toward organics. Stay tuned next week for the last post in this series, all about shopping online! You can read part one and part two of this series about shopping local and food preservation here and here. This is great advice!! I wish we had coupons here!! I like all the organic companies on fb and sign up for emails to get coupons. You are right...they are easy to find if you look for them. Great post! I love the Target Cartwheel App! I love that they always have discounts on Fresh Produce and Meat! I also love that fact the Target includes it's Organic Brands in their coupons as well! It's the reason that almost all of my shopping is done at a Super Target! I didn't know about the Target Cartwheel app. Thanks for the heads up! Really? I love that thing! You can actually set it up online too and print it out if you don't want to use your phone. I do that a lot actually because for some reason the app doesn't like to load when I'm in the store. Wow, so cool about the cartwheel app! Good know know about it! wow, that is super cheep almond flower! he he. love this--I only buy organic myself, so these tips are SUPER HELPFUL! Hi found browsing g+, you know you are right many companies are on Facebook, and I do see them putting up offers. What a steal on that flour, we are blessed to have 3 salvage stores here that get in organic products, that is our big saver. Hey would love for you to share on Real Food Fridays, there are others who need this information. G+ shared, and now following. I don't have the debit card or credit card, but I know others that use it and save. Our local Aldi stores now have some organics that we purchase, but I fully take advantage of our co-op and other local stores too for certain items. Thank you so much for stopping by! I linked up and am now following you! I've heard great things about cartwheel--but I don't have a smartphone. We also don't have double coupons by us. But those are wonderful tips! :( I can't get Cartwheel on my phone. I haven't ever found a clearance shelf at my Target,I'll have to check next time! You can login on your computer and print out the barcodes :-) Check the back of the endcaps in each department for clearance. You can find some really good deals! Thanks for sharing on Real Food Fridays, I am featuring this post tonight. Please come by and share some more, giveaway tonight. Thank you so much for featuring this post! I'm so glad I found you and your blog. I just linked up part 4 in the series, all about online ordering. Great tips. I was couponing and then tried to avoid buying preservative food but that increased my grocery bill significantly. I need to do better liking organic pages on Facebook to get some more coupons to print. Thanks for sharing. Hope you link this up with my Small Victories Sunday linky that is open all week!